Danzio Performance is a household name amongst the niche racers who call the barren wastes of desert their race track. Desert racers value horsepower and torque with the best of them, but paramount among their priorities are reliability and longevity. Desert racing is defined by iconic endurance races like the SCORE Baja 1,000, 500, and 250 in Mexico, and the Mint 400 and Vegas To Reno stateside. The vehicles that run these grueling endurance contests are diverse, and occupy in excess of 30 different classes. At the top of the spectrum are unlimited categories where class restrictions are limited to open wheel (class 1) or Trophy Truck. The later of these classes may not be the original embodiment of the desert racing iconography but is the modern day superhero of the people. Danzio Performance sprung out of the sand car scene in the early 2000s, the name is a contraction between the two owners’ names: Josh Daniel, and Chris Muzio. “I used to work on Jaguars, then I met Josh through his mom because she had a Jaguar and we became friends. We started going to Glamis together and friends would ask ‘hey can you tune my sand car’ and it just grew more and more — I used to drag race too and the same thing happened there. We ended up starting Danzio in 2004,” explained Muzio. After a few years on the scene as a sand car engine builder and tuner the duo branched into racing with the purchase of a Class 1 unlimited open wheel race car. 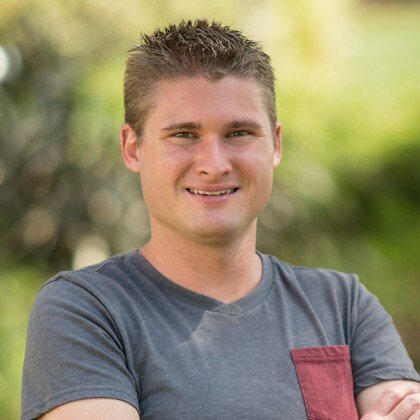 Since making waves in the Best In The Desert series Danzio began supplying top teams across the field from sealed spec motors to twin turbo unlimited packages. “We have a constant flow of desert racing engines, we have a Class 1 package which is an LS7 but we have a number of LS-based options. 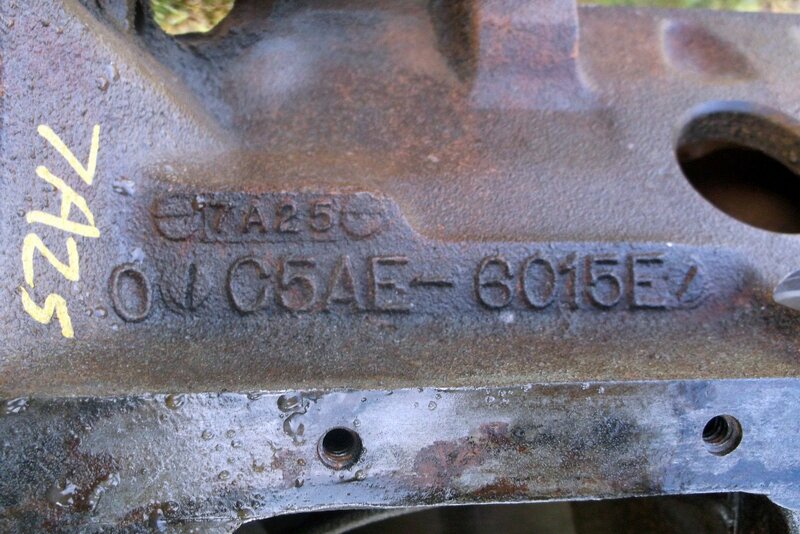 We do a lot of GDI-4 Ecotecs for Class 10 cars, the Pro-Buggies get a non-direct-injection version of it. 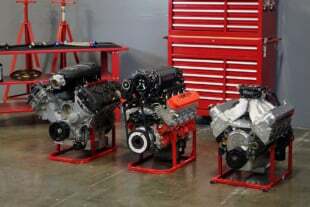 We just did an 8-stack small block for an Ultra-4 car, we do a little bit of everything,” said John Torres of Danzio. 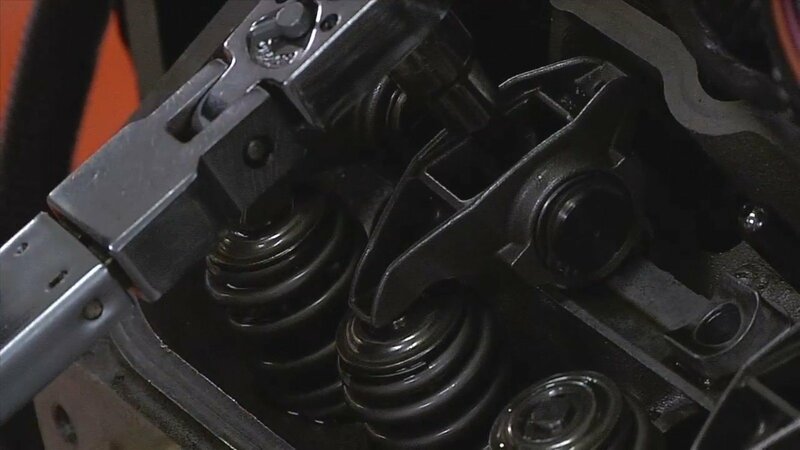 The custom tailoring experience doesn’t end at the custom engine build, as we all know tuning can make or break a package of complimentary parts. 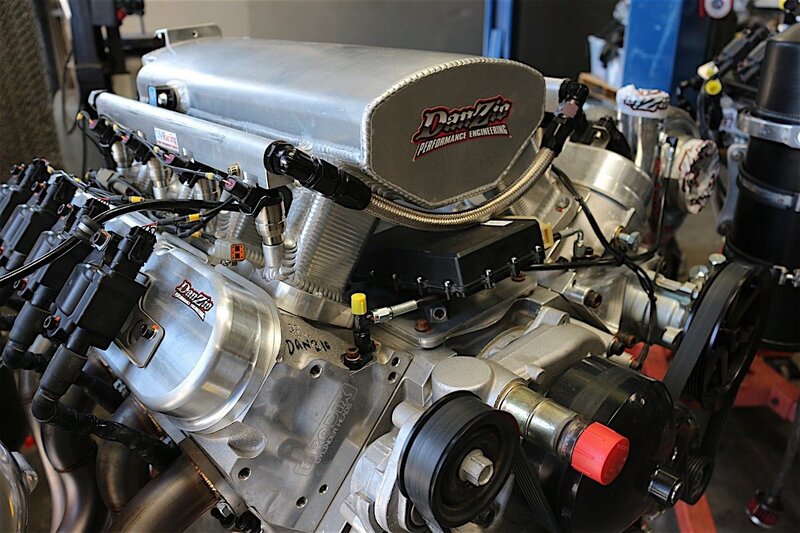 Danzio has both an in-house engine dyno cell with sensor redundancy so no data is ever lost in a run, and a chassis dyno to prove out a powerplant in the platform for which it is destined. The Danzio shop is a self contained unit, with shop equipment like a lathe, mill, sheetmetal formers, and welders in one corner — it’s only a short walk to the adjacent corner that contains their mil-spec wiring bench. “We have a whole in-house mil-spec wiring department for everything we need to build the harnesses for every engine here, we sell most of our engines with a harness so they’re just plug and play,” Muzio assured. One of the mantras of the Danzio crew is customization, and one of the most impressive fields they optimize is electronics. As the U.S. distributor of Life Racing products, Danzio offers tuning solutions and data logging that leaves others in the dust. Life Racing has contracts and leaves there mark across all sorts of motorsports, from the rally cars of M-Sport, to Indy Lights, and Danzio desert racing engines. The appeal of Life Racing ECUs comes in the form of customization and adaptability. “In professional motorsport you run into Marelli, Bosch, and Life Racing. It’s a bit more complex to use, but the end result is something that works as it should and it’s better,” explained Muzio. “The easiest way to explain it is it’s like having a massive tool box, with every single possible tool you can imagine. When you’re running an engine, everything you need to run that engine the way you want is there, if you’re clever enough to do it,” he boasted. For example the Danzio Geiser Trophy Truck, primarily driven by Daniels, features a Life Racing F90 ECU, this top-end model features 64-inputs and controls parameters including knock control, 4-wheel traction control, launch control, and the anti-lag system to keep the twin-turbocharged system on boost. Rick Geiser (left) is arguably the top authority on building winning Trophy Trucks. Chris Muzio (right) arguably the authority on building some of their engines. When we stopped by Danzio some high-profile customers were in route. Rick Geiser, purveyor of all things fast and full-fendered was making the trek down from Phoenix with one of RPM Offroad’s Trophy Trucks. Clyde Stacey of Bristol Tennessee fields a plethora of race cars in the desert and this particular truck was the latest iteration of a platform that has proven to be a force to be reckoned with. “We built this as a class 6 truck and Lalo Laguna raced it, then we did it as a 6100 — Lalo, Apdally Lopez, and Rudy Iribe raced it, then we made it into a Trophy Truck — Apdally has raced it a couple times, Robby Gordon raced it at the Mint 400 and now we’re going down to Norra with it,” Geiser recalled. Stacey runs his operation on a constant state of flux, changing driver lineups, and vehicles. When he came across the LT4 engine packages offered by GM Performance he called up Geiser to explore a swap. Geiser reached out to Danzio for some help tuning the supercharged 6.2-liter Corvette Z06 engine for this application. With some new Life Racing electronics and a mil-spec harness the stock powerplant was shoe-horned into the truck. “The supercharged engine is going to be interesting to see what it does, and how strong it is — is it going to live in that thing? I don’t know, but it was very impressive on the engine dyno. It made 700 horsepower right out of the box from GM, we put a 5-percent pulley on it because they needed to get the power-steering to fit and it made 748 horsepower and 730 lb/ft of torque,” explained Muzio. Forced-induction engines are a relative newcomer to the dusty environment of desert racing, only recently have some of the sanctioning bodies opened up the class rules to allow turbocharging and supercharging. The rough environments, and fine silt can be a challenging adverse environment for these engines but builders like Danzio are making them survive. “If it makes 550-600 horsepower to the wheels I couldn’t imagine the car when it’s done because it’s 1,000 pounds lighter than our big trucks, it’s skinnier, it’s shorter, more compact, a little less suspension but big brakes. We are really just hoping it’s a reliable package that we can put Mexican Pemex in and go have a good time,” predicted Geiser. With the truck strapped down Muzio climbed in the cockpit for a few initial pulls. It became apparent quickly that the interior-mounted intercooler was not receiving adequate airflow so an impromptu cooling fan was employed to simulate a more accurate representation of flow. It is common practice to mount radiators, oil coolers, intercoolers and the like inboard for protection from rocks and debris. Most desert race cars do not run a windshield because it would become broken or obscured with dirt, and mud immediately so airflow is not impeded to the coolers. After a few quick pulls the engine began to settle in at the hands of Muzio, the crew finalized the tune at a conservative 449 horsepower and 433 lb-ft of torque. The large discrepancy between flywheel horsepower seen on the engine dyno and wheel horsepower on the chassis dyno can be attributed to a number of factors. This Trophy Truck rolls on the latest iteration of 40-inch diameter BF Goodrich “projects,” an extremely heavy and robust tire designed to provide traction and resilience over the terrain. The rolling resistance of a tire like this combined with the relatively extreme driveline angles inherent to off-road race vehicles, plus the desire to de-tune for reliability all conspire to drag down the peak output. Bear in mind however this truck will still pull the front wheels with a twitch of the ankle. It’s always a pleasure to be on the scene at the birth of a new idea or application, no one really knows what to expect. Time will tell if this package proves it’s worth in the field.